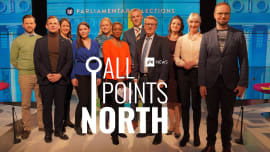 Just two weeks out from Finland's parliamentary elections the National Coalition finds itself under pressure from the Finns Party, which is threatening to win big at the polls. Can the centre-right party steady its course to remain a strong contender for government -- and the premiership? Political commentators Sini Korpinen and Sam Kingsley join us to consider their odds. A fresh Yle poll shows Prime Minister Juha Sipilä's Centre Party hobbling toward next month's general election with 14.4 percent voter support. Has the burden of incumbency affected the party's prospects at the polls? Did Sipilä's unilateral decision to have his government quit over its failed social and health care reform programme harm or help the party? Political commentator Sini Korpinen and journalist Sam Kingsley join APN to examine these and other burning questions. After quitting the ranks of government citing environmental principles, the Greens are living their best political life. The party has had its ups and downs, but has posted mostly steady gains in voter polls since the breakup and now stands poised for a breakthrough into the big league -- the top three most popular parties in the country. Have they got what it takes for a big finish in the upcoming elections? Political commentator Sini Korpinen and journalist Sam Kingsley join APN for a look at the Greens' chances of breaking into the top three. The Finns Party has become as well known for controversy as it has for its hardline stance on immigration and its euro-scepticism. Recent polls show the party gaining momentum in the run-up to the April general election. Do they have what it takes for a strong finish -- and for a role in government? APN looks at the pitched battle for poll position with political commentator Sini Korpinen and Sam Kingsley. This week we're talking about the sudden resignation of government on Friday, after long-planned reforms to the country's social and health care system ran aground. We'll also examine the Left Alliance and its bid to rally workers in the upcoming election. Political commentator Sini Korpinen joins us for all this and more. The Swedish People's Party tumbled out of government in 2015 when Juha Sipilä's centre-right coalition took office. Now with the governing parties under threat over unpopular austerity and employment-boosting measures, the largely one-theme group is looking to rejoin the government ranks. Journalist Sam Kingsley and political commentator Sini Korpinen join APN to examine whether the party has what it takes for a political comeback. Nearly two years ago, the Blue Reform split from the Finns Party when a new immigration hardliner took over. Now that the dust has settled, the Blues and the Finns Party each have the same number of seats in Parliament, but their voter support figures couldn't be more different. Will the Blues survive the election and how will their time in this government be remembered? Finland's Christian Democratic Party is hoping to win voters over with a general election platform that focuses on safeguarding families and traditional values. Can proposals to throw more money at families with children convince the electorate to give them enough leverage to form part of the next government? This week APN begins a series of pre-election party snaphots with international journalist Sam Kingsley and political commentator Sini Korpinen. Finland has been positioning itself as an ideal place to live, study and build a career. But for many people that dream runs into a brick wall when they try to find a job. The unemployment rate among foreign-language groups in Helsinki is double that of the local population. At the same time, employers are bemoaning the lack of qualified job applicants. Taina Susiluoto and Eve Kyntäjä join All Points North to discuss what it takes to break into the Finnish labour market.